I recently upgraded my MacBook Air to Mavericks, and apparently that uninstalled Java for me as a ... convenience. Thanks, Apple! Since I actually use Java occasionally, I went to download the JDK, and noticed something new. I work with Adobe ColdFusion, and in the past when I've upgraded Java for ColdFusion, I've had to make sure to download the full Java Development Kit (JDK) rather than just the Java Runtime Environment (JRE), because the JRE didn't include the server-specific version of the JVM that you need to run ColdFusion or other server-side Java applications. You don't really need anything else within the JDK for ColdFusion, but you do need that one server-side DLL that until now was only found in the JDK. 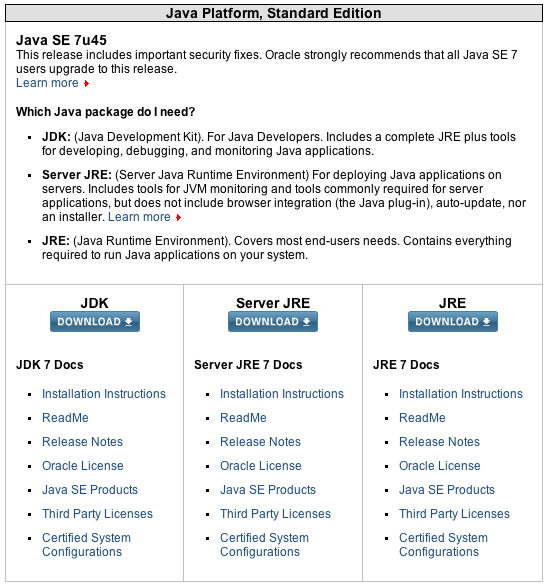 Now, though, there are three options for download: JDK, JRE, and Server JRE. 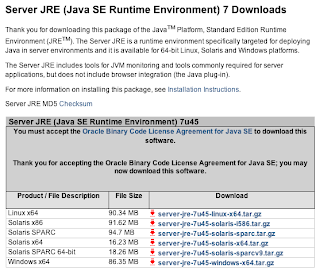 The Server JRE is available for 64-bit Windows, 64-bit Linux and Solaris (not OS X) and is significantly smaller than the JDK. And it doesn't include all the extra development stuff that the JDK does, obviously, making for a cleaner and potentially more secure server environment. 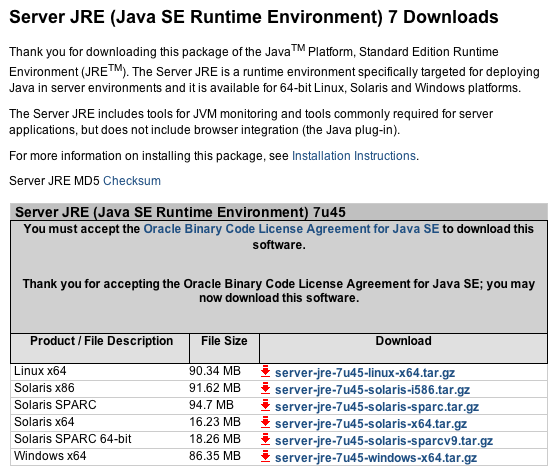 Also, according to the documentation, the Server JRE includes server monitoring tools, but does not include the browser plugin. It looks like it's possible to use the regular JRE with ColdFusion by copying the appropriate server-side JVM files from the JDK and dropping them in the JRE as described here, but that's way too much trouble when you can just download the Server JRE. 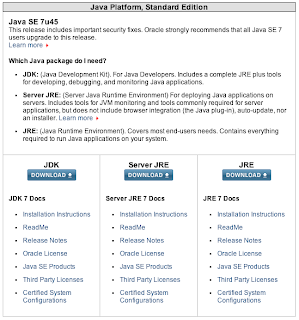 I'm definitely going to try the Server JRE on the next CF Java upgrade I do.